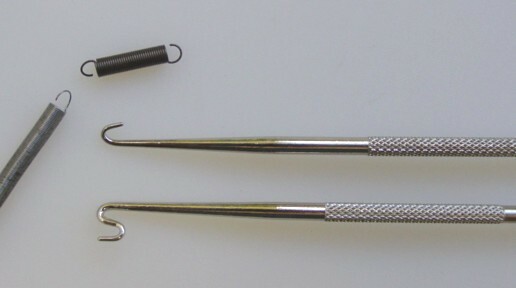 Spring hook, made of steel, nickeled, with double function: one side with simple hook for taking off small springs, the other side with S-hook for bringing small springs in position. Length 175 mm, shank 3 mm Ø. Related links to "Spring hook"
Customer evaluation for "Spring hook"